Fine white sands. Crashing waves from the ocean. Clear blue skies kissing the clear blue waters of the sea. Colorful umbrellas dot the shoreline with some lounge chairs best for bumming while sipping some cocktails during happy hour. That’s summer. And I need to reiterate to myself that rainy season just started with the unpredictable weather hinders to me to visit a nearby beach. Staycation was the other option. 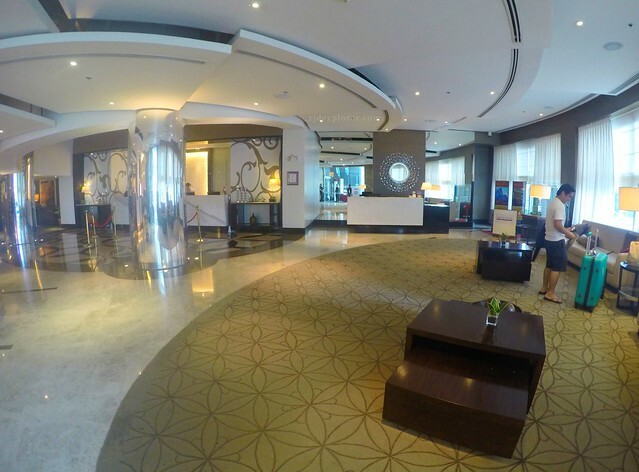 Immensely spacious lobby of Quest Hotel Cebu. A bouquet of intensely red roses located in the center of the lobby penetrates the shades that cover my eyes. I entered the premises of Quest Hotel with a greeting from the security on duty. I made my way to one of the lobby lounges and sat comfortably on a chair that can fit up to three persons. The area was a bit dim that I almost fell asleep considering the cozy ambience and the cool air-conditioning. Checking-in took a little time because the hotel was almost full during our stay. It didn’t bother me though as I happily lazed in the lounge area while friends did transact at the front desk. 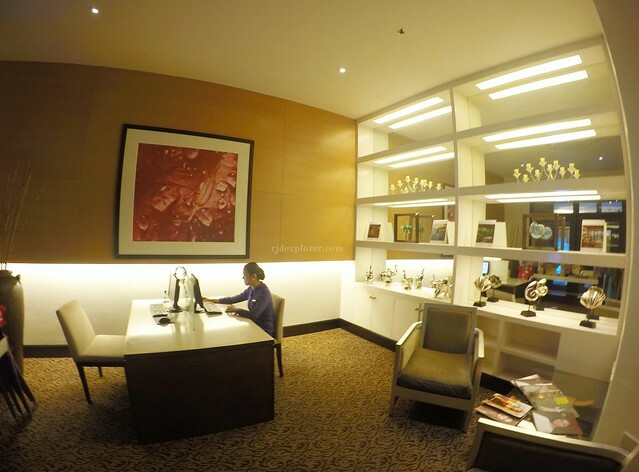 I also recognized the busy front desk because that weekend was the Cebu International Travel Expo and with the hotel’s proximity to Ayala Center Cebu, almost all participants opted to stay at the hotel. 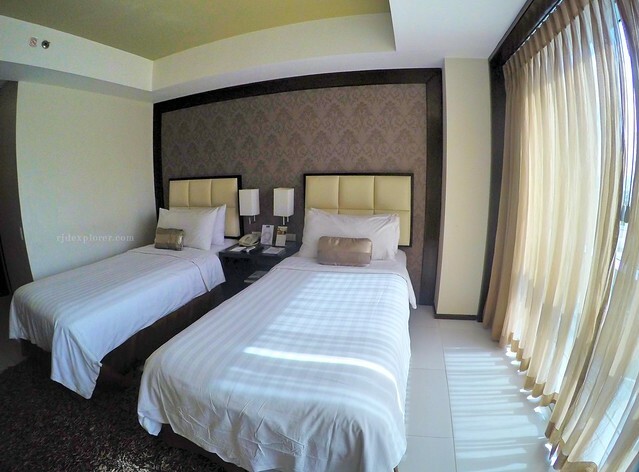 Our deluxe room for a weekend in Quest Hotel Cebu. 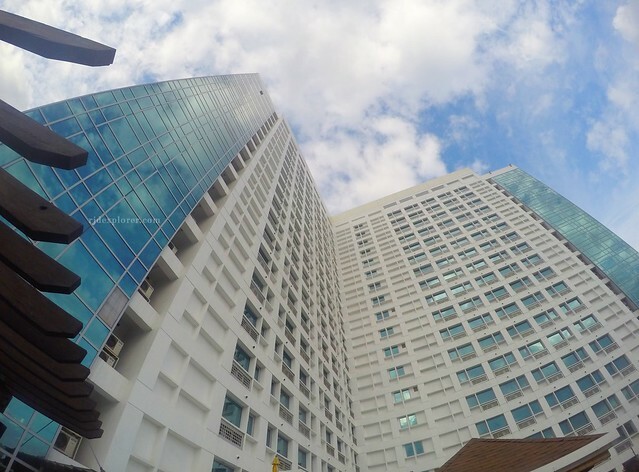 Rooms at Quest Hotel and Conference are spread in 4 categories: Deluxe, Premier Deluxe, Junior, and Executive Suite. We were booked on a Deluxe Room with clean, cool, and comfy twin beds, electronic safe, minibar, cable television, and coffee and tea making facility. 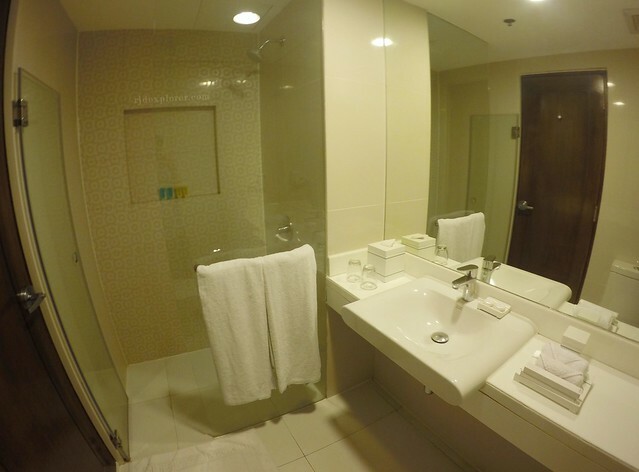 The toilet and bath is equipped with cold and hot shower, has fresh and clean towels, bath essentials, hairdryer, and a bidet. 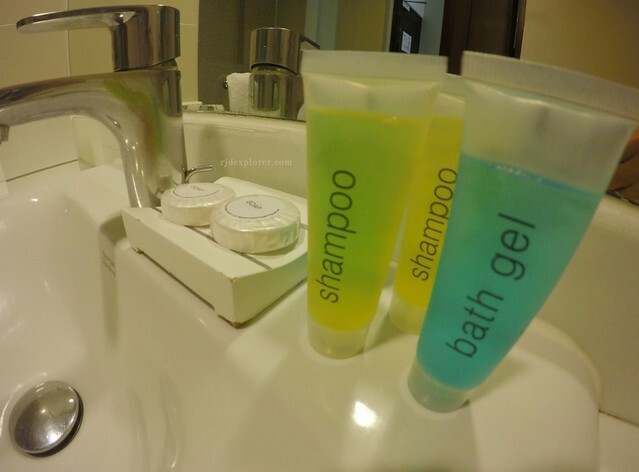 Toilet and shower with basic bath essentials. We were expecting a rainy weekend during our stay because of the numerous weather updates on the news. It turned out that the entire stay in Quest Hotel was graciously monitored by the pervasive sun. Still, we settled into our rooms and willingly abducted by the cozy beds. One of the corner rooms. 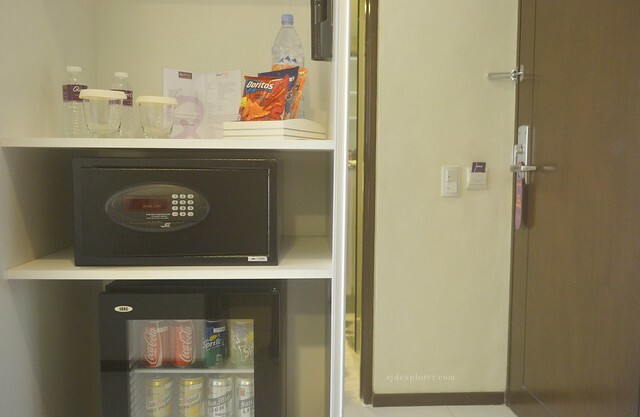 Mini bar including chips and some canned beverages. 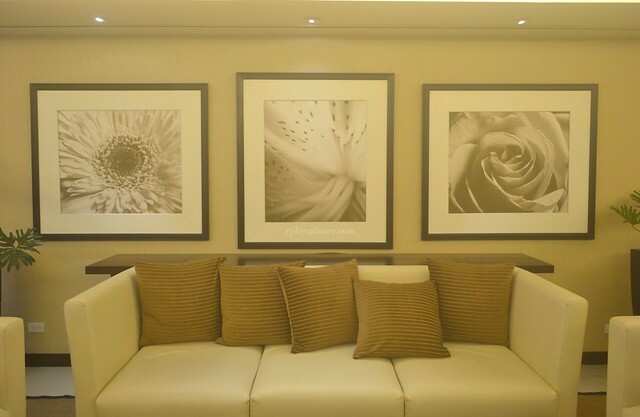 On the hallway to the elevators, it’s hard to miss the three frames of macro-photographed flowers that seem to encourage everyone to experience the quality of service of the hotel in details. More photos of different shells convert every floor hallways into an art gallery. We found out later that those photographs were taken by a friend dear to the family that owns the hotel. Flowers on frames are all around. 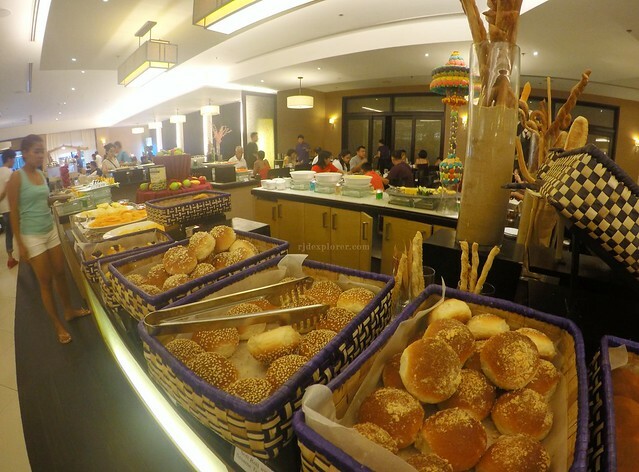 When dinner came, we were eager to try the weekend buffet in Pusô Restaurant, located on the ground floor, where we relished great food from Chinese, Japanese, Italian, Mongolian, Western, and Filipino cuisines. Desserts are one of the things to look forward to as they’re sugar-free for you to observe less on your calorie intake. Complimentary buffet breakfast can also be availed on the same restaurant with staples like corned beef, fish fillet, bacon, sausages, and some canapés. Prepare to be surprised by the ‘Taho vendor’, a restaurant crew on green long-sleeved shirt, carrying buckets of taho (fresh silken tofu with caramel and pearls) that he offers to everyone. Alarms are one of my pet peeves as it signals me to get out of bed, stop that sleep, and continue my daily routine. That weekend, I was happy to avenge on my phone’s alarm as I contend for an 8-hour sleep, thanks to the quality beds that offers a unique sleeping experience. Some cocktails by the pool under the midday sun. 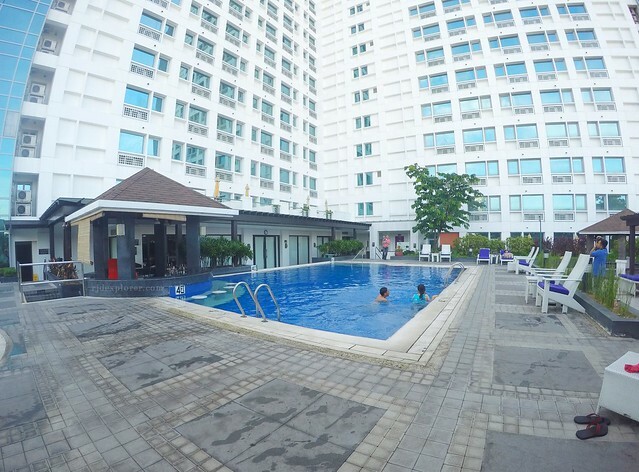 Quest Hotel has a short lap pool and it’s a failure not to take a dip. Well, we were losers as swimming wasn’t listed down on our to-do-list. Instead, on a midday sun, we invaded the poolside bar for some cocktails. 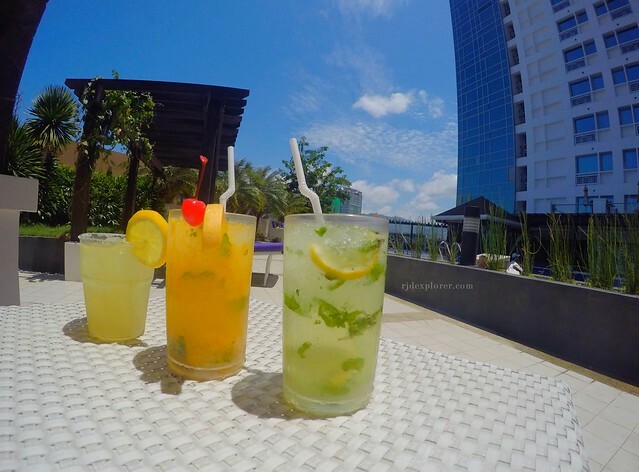 Under the scorching heat of the sun, we found ourselves sharing stories over glasses of mojito, margarita, and the drink of the month, house of yum. Now, this reminds us of summer. Business also meets with leisure in Quest Hotel as 10 conference rooms/halls: Magellan, Henson, Hillary, Armstrong, and Lewis are available. If you’re wondering, the common ground of those famous people is expedition, quest. Now you know why it was named as Quest Hotel. 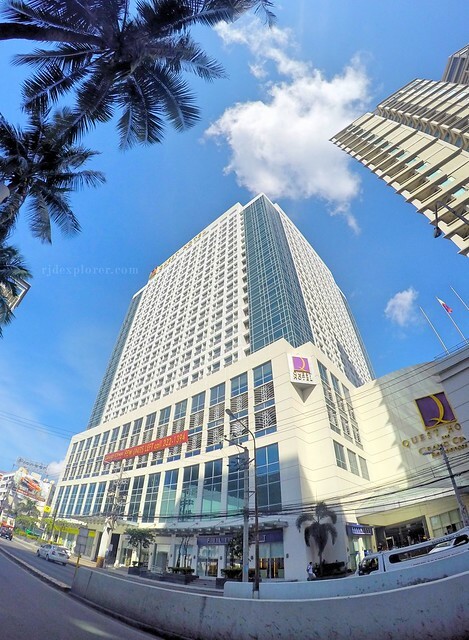 Aside from the numerous function rooms, they have a reliable WiFi connection, and also offer business support and services in their business center located at the rear part of the ground floor. 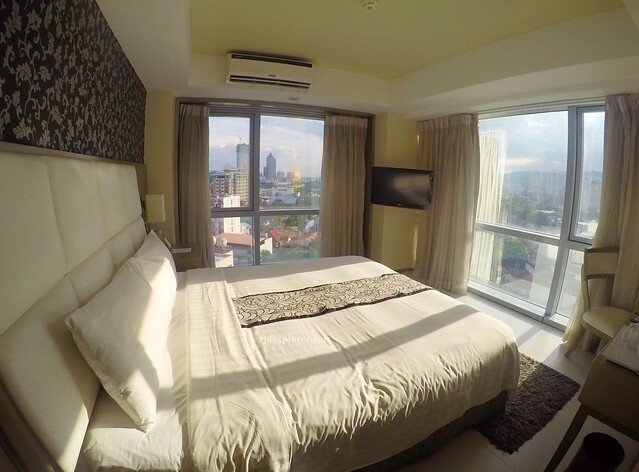 Amidst the uproar of the busy business streets of Cebu City, the weekend stay in Quest Hotel Cebu offered a dose of quietude with the modern comforts it suggests to its guests. The wide array of dining options, the quality of sleep experience, its strategic location, and other convenience they readily share, guests will surely get an enjoyable stay on their pursuit to a rejuvenating and relaxing weekend in the city.